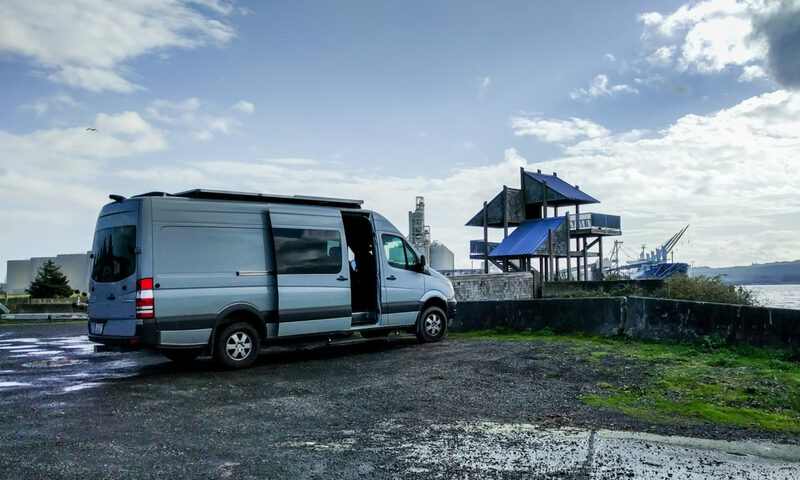 We prototyped lots of things in this van, including what types of lights to use and where to put them. We’ve found that how you light the interior of the van changes its mood. 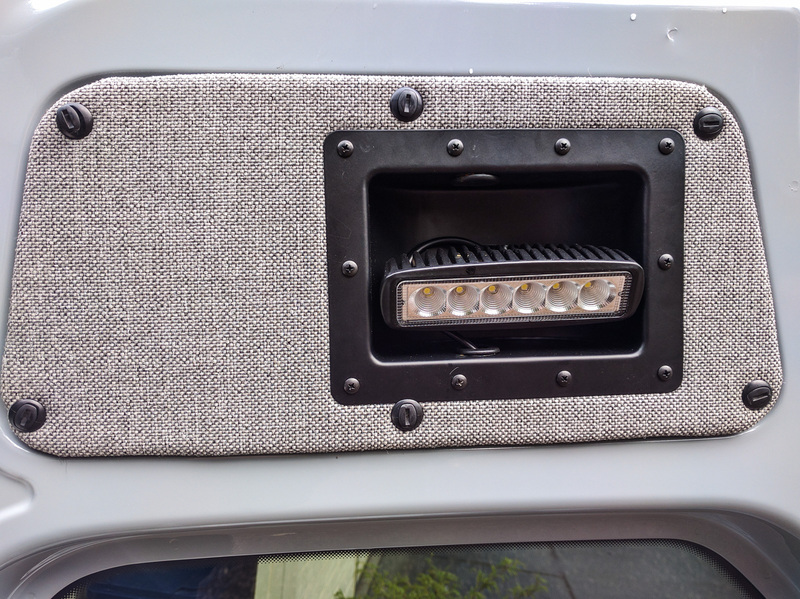 We installed LED spotlights in the main living area of the van, and a dimmable LED light strip along the length of the ceiling on both sides. 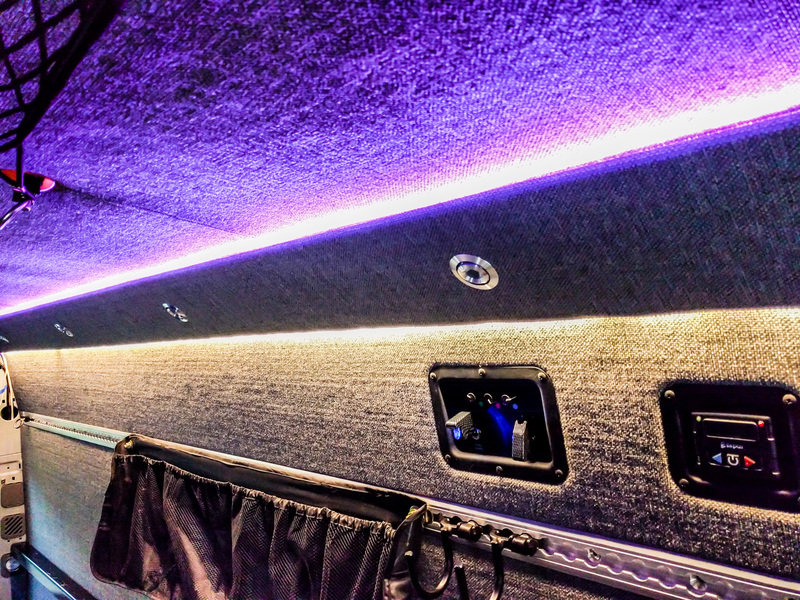 We’re also installed some controllable color LED light strips. Mostly these are so we can have red or green light at night to help us keep our night vision, but they also make awesome party lights! We put bright LED work lights at the top of each of the rear doors. These are too bright to use with the doors closed. They are more for if we’re working at the back or the side of the van. The doors open 270 degrees, so the light ends up pointing to the side if we need it to. We’re glad we decided to move the factory dome/courtesy lights and keep a couple of them in the final build. It’s nice to have some automatic light when you open the doors. We haven’t found a good LED light bulb to replace the incandescent 42mm festoon bulbs in those lights yet. Just found a nice warm white LED from Amazon.